So, what are some quick and easy ways you can make your home more welcoming and inviting to your guests this holiday season? Here are Cozy Earth’s top three tips. First, swap out your guest sheets for organic bamboo sheets. There are so many reasons why bamboo is the perfect bedding for guests, but here are three – it’s luxurious, it’s easy to clean, and it’s hypoallergenic. Let’s start with it’s as luxurious as silk without being high-maintenance. The soft, smooth texture wraps your family and friends in a swath of cozy comfort, easing them to sleep each night. Then after your company leaves, all you have to do is toss these organic sheets into the washing machine and dryer. It’s that easy! 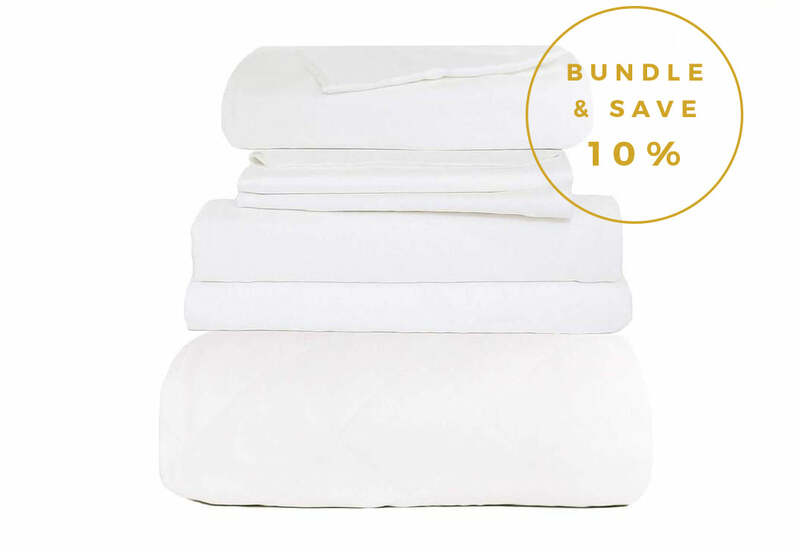 You don’t need to worry about bamboo sheets snagging or staining, ensuring that your guest sheets look crisp and clean for years to come. Additionally, bamboo is hypoallergenic. If your family or friends have allergies or sensitive skin, then bamboo is the ideal bedding for them! You never need to worry about your guests having an allergic reaction to their bedding when they’re sleeping on bamboo. To discover more about how bamboo is hypoallergenic, read How Bamboo Bedding Relieves Allergies. There are a couple of reasons why baking is always a good idea. First, you have a quick treat to offer your family and friends the moment they walk in the door. After a long car trip or plane flight, the last thing company wants to do is sit around and wait for you to cook them dinner. So, a few cookies or a slice of fresh bread can be just the ticket to hold them over until mealtime. It also provides the perfect opportunity for you to visit and catch up with friends that you haven’t seen in a while. The second reason is that it helps your home smell better. Obviously, you’re going to scrub your house from top to bottom, but we all know that everyone else’s home smells a little different than our own. By baking bread or cookies, you ensure that the first aroma that reaches your guest’s nose is pleasant and inviting. In fact, real estate agents having been using this trick for years to sell homes for 6-20% more than their unstaged counterparts. As a guest, it’s always a little awkward to have to ask your host for something, or worse, go digging around in their home to find it. That’s why it’s so important to have everything your guests could need easily accessible and in an obvious location. For example, you might just toss spare toilet paper under the sink in your bathroom. However, try to keep a few rolls in a basket on the guest bathroom counter along with a few other essentials. Your guests need to be able to look up and easily spot anything they need. Plus, a small basket of toiletries shows that you had their comfort at the forefront of your mind. How else do you prepare to be an excellent host? Let us know in the comments below!